Prof. R. J. Garde Research Award: Awarded by the Indian Society for Hydraulics (ISH) for outstanding research in the field of Hydraulics and Water Resources (2015). Prof. N. S. Govinda Rao Medal for the year 2009-2010 by the Council of the Indian Institute of Science, Bangalore for the best thesis award of the year in the Department of Civil Engineering at the Institute. 1. ME Dissertation titled FINDING DISCHARGE AT INCIPIENT MOTION IN ALLUVIAL CHANNEL, Department of Civil Engineering, Indian Institute of Science, Bangalore, India, 2003 [Supervisor - Prof. Achanta Ramakrishna Rao]. 2. PhD Thesis, COMPREHENSIVE STUDIES OF SURFACE AERATION SYSTEMS, Department of Civil Engineering, Indian Institute of Science, Bangalore, India, 2009 [Supervisor - Prof. Achanta Ramakrishna Rao]. 1. Bimlesh Kumar Decentralized renewable energy in the Indian context Modern Energy Review (formerly European Renewable Energy Review and produced in association with the Renewable Energy Association (REA), International, Solar Energy Society, European Photovoltaic Industry Association, and the European Solar Thermal Industry Federation), 74-77, 2009. 2. Economizing the Energy Consumption in Circular Surface Aerators- Achanta Ramakrishna Rao and Bimlesh Kumar, Survival and Sustainability: Environmental concerns in the 21st Century, Environmental Earth Sciences, Part 4, 481-189, Springer, 2011. DOI: 10.1007/978-3-540-95991-5_43. 3. Assessment of quality characteristics of twin lakes, Bhopal with reference to aeration units- Neelam Verma, Bimlesh Kumar and A Bajpai, Pollution and Biodiversity: Biosocial Aspects (ed. Prof. Arvind Kumar), Daya Publishing House, India, 28-36. 5. Energy Planning for Sustainable Development in INDIA - Bimlesh Kumar and Rahul B Hiremath, Handbook of Sustainable Management, Editors: C. N. Madu and Chu-hua Kuei, Imperial College Press, London, ISBN: 978-981-4352-81-3, 641-666, 2012. 6. Gaussian Process Regression to Predict Incipient Motion of Alluvial Channel -Jaideep Sherawat, Mahesh Patel and Bimlesh Kumar, Proceeding of Fourth International Conference on Soft Computing for Problem Solving, Advances in Intelligent Systems and Computing, 336, 431-437, 2015, Springer. 7. Variable Significance in the determination of Friction Factor in Alluvial Channel -Bimlesh Kumar and Gopu Sreenivasulu, Handbook of Research on Advanced Computational Techniques for Simulation-Based Engineering. IGI Global, 2016. 492-504. Web. 30 Nov. 2015. doi:10.4018/978-1-4666-9479-8.ch018. 8. Industrial wastewater management in the context of climate change adaptation-A business approach-Rahul Hiremath, J. Murali and Bimlesh Kumar, Reconsidering the Impact of Climate Change on Global Water Supply, Use, and Management, IGI Global (http://www.igi-global.com/book/reconsidering-impact-climate-change-global/156644). 9. A Study on Flow characteristics in a finite vegetation patch with downward seepage- Bebina Thokchom Devi, and Bimlesh Kumar - In book: River Flow 2016, Chapter: Environmental role of hydraulic interfaces, Publisher: CRC Press, 2016,Taylor & Francis, Editors: George Constantinescu, Marcelo Garcia, Dan Hanes, pp.802-805. ISBN 9781138029132. 10. Turbulent Scale and Mixing Length Measurement in Mobile Bed Channel- Anurag Sharma, Dengkhw Brahma, Mahesh Patel, and Bimlesh Kumar - In book: Development of Water Resources In India, Publisher: Springer, Editors: Vikas Garg, V. P. Singh and V. Raj, (http://www.springer.com/in/book/9783319551241), ISBN 978-3-319-55125-8. 11. Experimental Study on Mining Pit Migration- Bandita Barman, Bimlesh Kumar, and Arup Kumar Sarma- In Book: Development of Water Resources In India, Publisher: Springer, Editors: Vikas Garg, V. P. Singh and V. Raj, (http://www.springer.com/in/book/9783319551241), ISBN 978-3-319-55125-8. 13. Performance Appraisal of Friction Factor Estimators- Mishra A., Deshpande A., Bimlesh Kumar (2018) . In: Singh V., Yadav S., Yadava R. (eds) Hydrologic Modeling. Water Science and Technology Library, vol 81. Springer, Singapore. 14. Higher Order Statistics of Reynolds Shear Stress in Nonuniform Sand Bed Channel-Anurag Sharma and Bimlesh Kumar (2018) . In Kalinowska M.B., Mokowska M.M., Rowinski, P.M. (eds) Free Surface Flows and Transport Processes, 10.1007/978-3-319-70914-7, Springer, Singapore. 158. Rutuja Chavan, B. Venkataramana, P. Acharya and Bimlesh Kumar- Comparison of Scour and Flow characteristics around Circular and Oblong Bridge piers in Seepage affected Alluvial Channel, Journal of Marine Science and Application, 17, 2, 254-264, 2018. 155. Rutuja Chavan, and Bimlesh Kumar- Experimental Investigation on Flow and Scour Characteristics around Tandem Piers in Sandy Channel with Downward Seepage, Journal of Marine Science and Application, 16, 3, 313-322, 2017. 147. Rutuja Chavan, Anurag Sharma and Bimlesh Kumar- Effect of Downward seepage on Turbulent characteritics and Bed Morphology around Bridge piers, Journal of Marine Science and Application, 16, 1, 60-72, 2017. 140. Varhsa Shivpure, Thokchom Bebina Devi and Bimlesh Kumar- Turbulent Characteristics of densely flexible submerged vegetated Channel, ISH Journal of Hydraulic Engineering, 22, 2, 220-226, 2016. 129. Anurag Sharma, Mahesh Patel and Bimlesh Kumar- Performance Appraisal of Velocity Predictors in Channel Flow, Journal of Indian Water Works Association, 47, 2015. 125. Anjaneya and Bimlesh Kumar - Particle Swarm Optimization Neural Network for Flow Prediction in Vegetative Channel, Journal of Intelligent Systems, 22, 4, 487-501, 2013. 121. Bimlesh Kumar - Priming methods for siphon, Journal of Indian Water works Association, 143-148, April-June 2012. 120. Bimlesh Kumar - Design Consideration for Circulating Water Conductor System of a Power Plant, Dam Engineering, 22, 2, 103-116, 2011. 109. Bimlesh Kumar - Computer Simulated Dam Break Analysis, Construction India, 12 (3), 54-60, 2010. 108. Praveen Kumar and Bimlesh Kumar - In-stream hydrokinetic energy farm: implementation strategies for Indian context, Electrical India, 50 (5), 52-57, 2010. 107. Bimlesh Kumar and Achanta Ramakrishna Rao- Defining Storage Tank for Water Distribution System in India, Construction India, 12 (9), 166-170, 2010. 106. Bimlesh Kumar, Gopu Sreenivasulu and Achanta Ramakrishna Rao - Resistance Equation for Open Channel, Journal of Indian Water Works Association, Oct.-Dec., 299-305, 2009. 101. Gopu Sreenivasulu, Bimlesh Kumar and Achanta Ramakrishna Rao - RBF modeling of Incipient Motion of Plane Sand Bed Channels, International Journal of Intelligent Systems and Technologies, 3, 5, 168-173, 2009. 99. Achanta Ramakrishna Rao and Bimlesh Kumar - Finding Optimal Design Diameter of Pipeline , International Journal of Applied Engineering research 3, 5, 659-666, 2008. 97. Achanta Ramakrishna Rao, Bimlesh Kumar and Gopu Sreenivasulu - Incipient Motion Prediction of Plane Sand Bed Channels: Metamodeling approach, International Journal of Lakes and Rivers, 1, 2, 2006. 96. Achanta Ramakrishna Rao and Bimlesh Kumar - Friction Factor for Turbulent Pipe Flow, Journal of Indian Water Works Association, 29-36, Oct-Dec, 2006. 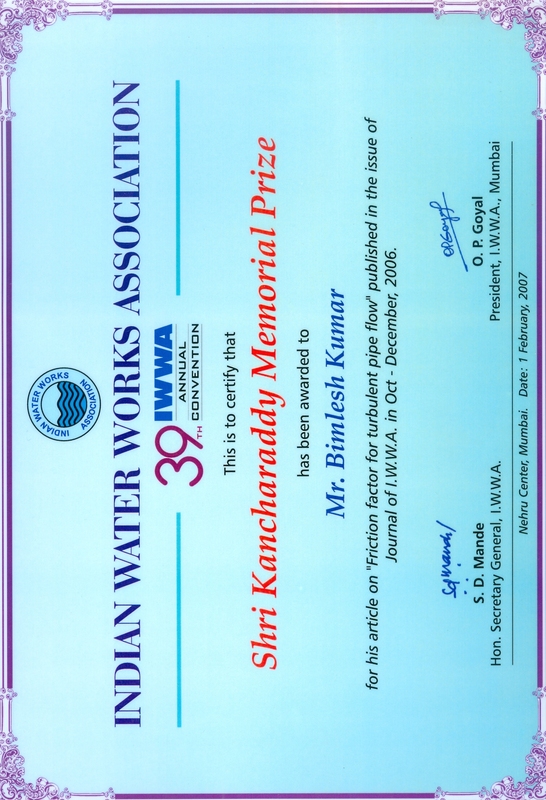 This article has been awarded " Shri Kancharaddy Memorial prize " for the best article published in the year 2006. 94. K. Raghvendra Singh, Ankit P. Goswami, Ajay S Kalamdhad and Bimlesh Kumar - Assessment of surface water quality of Pagladia, Beki and Kolong river (Assam, India) using multivariate statistical techniques, The International Journal of River Basin Management, In press. 89. K. Raghvendra Singh, Nidhi Bharti, Ajay S Kalamdhad and Bimlesh Kumar - Surface Water quality assessment of Amingaon (Assam, India) using multivariate statistical techniques, Water Practice and Technology, 12, 4, 997-1008, 2017. 88. Thiyam Tamphasana Devi and Bimlesh Kumar - Vortex Depth analysis in an Unbaffled Stirred Tank with Curved Blade Impeller, Chemistry and Chemical Technology, 11, 3, 301-307, 2017. 87. Thiyam Tamphasana Devi and Bimlesh Kumar- Mass Transfer and Power Characteristics of Stirred Tank with Rushton and Curved Blade Impeller, Engineering Science and Technology, an International Journal, 20, 2, 730-737, 2017. 85. Thiyam Tamphasana Devi and Bimlesh Kumar - Optimal Impeller Clearance for Dual Stirred Unbaffled Tank with Curved Blade Impeller, Journal of Engineering Physics and Thermophysics, Springer, 89, 4, 948-953, 2016. 84. Thiyam Tamphasana Devi and Bimlesh Kumar - Detached eddy simulation of turbulent flow in stirred tank reactor, Procedia Engineering, 127, 87-94, 2015. 82. Thiyam Tamphasana Devi and Bimlesh Kumar - Design of Gas-liquid Stirred tank with Curved Blade Impeller, Journal of Engineering Physics and Thermophysics, Springer, 88, 1, 76-87, 2015. 78. Thiyam Tamphasana Devi and Bimlesh Kumar - CFD Simulation of Flow Patterns in Dual Impeller Stirred Tank, International Journal of Modeling and Simulation, 33, 2, 2013. 76. Bimlesh Kumar - Vortex in Baffled Surface Aerator, International Journal of Environmental Engineering, Inderscience Publication, 4, 1-2, 24-33, 2012. 75. Bimlesh Kumar and Thiyam Tamphasana Devi - Oxygen Transfer With Circulation Flow Rate In Unbaffled Surface Aerator, Chemistry and Chemical Technology, 6, 2, 203-207, 2012. 71. Thiyam Tamphasana Devi, Banoth Malsur and Bimlesh Kumar -Stirred Tank with Arrowhead Impeller- Influence of Submergence Depth on Power Consumption, Chemical Engineering Research Bulletin, 15, 1, 45-47, 2011. 70. Thiyam Tamphasana Devi and Bimlesh Kumar - Analyzing Flow Hydrodynamics in Stirred Tank with CD-6 and Rushton Impeller, International Review of Chemical Engineering, 3, 4, 440-448, 2011. 59. Bimlesh Kumar, Ajey Kumar Patel and Achanta Ramakrishna Rao - Energy Dissipation with Geometric parameters in Unbaffled Surface Aerator, Journal of Environmental Science and Engineering, 4, 2, 80-84, 2010. 42. Achanta Ramakrishna Rao and Bimlesh Kumar - Theoretical Power Per Unit Volume and Unbaffled Stirred Tank, Chemical Technology, Indian Journal, 2 (2), 56-60, 2007. 38. Achanta Ramakrishna Rao, Bimlesh Kumar and Ajey Kumar Patel - Rectangular Surface Aerators, Journal of Environmental Science and Engineering, 47(1), 47-52, 2005. 37. Rahul Hiremath, R. Kattumuri, Bimlesh Kumar, and G. R. Hiremath- Health and safety aspects of textile workers from Solapur (India) textile industries, Indian Journal of Community Health, 26, 4, 364-369, 2014. 35. Rahul Hiremath, R. Kattumuri, Bimlesh Kumar, Vishwas N Khatri and S. S. Patil- An Integrated Networking Approach for a Sustainable Textile Sector in Solapur City, India, Urban Challenge, 23, 2, 140-151, 2012. 32. Rahul Hiremath, Bimlesh Kumar, P.Balachandra and N.H. Ravindranath - Implications of Decentralised Energy Planning for Rural India, Journal of Sustainable Energy and Environment, 2, 31-40, 2011. 30. Rahul Hiremath and Bimlesh Kumar - Decentralized Energy Planning towards Sustainable Development, Indian Development Review: An International Journal of Development Economics. 29. Bimlesh Kumar and Rahul Hiremath- Sustainable Energy Planning: Environmental and Social Benefits, Global Journal of Finance and Management, 3, 2,209-216, 2011. 25. Bimlesh Kumar - Letter to the Editor on Public Transport, 24th January 2011, Transport Topics. 23. Bimlesh Kumar - Energy, Environment and Sustainability, Nirman, 1(1), 12-13, 2010. 16.Madhu Lisha Pattanaik, Rajan Choudhary and Bimlesh Kumar - Moisture Susceptibility of Open Graded Friction Course Mixes with EAF Steel Slag and Modified Binders, Advances in Civil Engineering Materials, ASTM, (in press) . 14.Madhu Lisha Pattanaik, Rajan Choudhary and Bimlesh Kumar - Laboratory Evaluation of Mix Design Parameters of Open-Graded Friction Course Mixes with Electric Arc Furnace Steel Slag, Advances in Civil Engineering Materials, ASTM, 7, 1, 616-632, 2018. 9. Bimlesh Kumar and Ankit Bhatla - Genetic algorithm optimized neural network prediction of friction factor in mobile bed channel, Journal of Intelligent Systems, 19, 4, 317-337, 2010. 8. Bimlesh Kumar, Ankit Bhatla, R R Kumar, Bulbule T and K Junnuri- Intelligent prediction of friction factor in alluvial channel, International Journal of Applied Engineering Research, 5, 18, 3031-3039, 2010. 7. Bimlesh Kumar and Pijush Samui - Determination of Stability Numbers for Soil Slopes following Non-Associated non-coaxial Flow rule, International Journal of Geotechnical Engineering,4, 1, 89-97, 2010. 6. Bimlesh Kumar and Pijush Samui - Application of ANN for predicting pore water pressure response in a shake table test, International Journal of Geotechnical Engineering, 2, 153-160, 2008. 4. Bimlesh Kumar and Achanta Ramakrishna Rao - Environmental Impact Assessment-A Case Study of Hydropower Project, Environmental Science-An Indian Journal, 3, 1, 2008. 2. Achanta Ramakrishna Rao and Bimlesh Kumar- Predicting Re-aeration rates in surface aerators by using Artificial Neural Method, International Journal of Applied Environmental Science,2, 2, 155-166, 2007. 1. Pijush Samui and Bimlesh Kumar - Artificial Neural Network Prediction of Stability Numbers for Two-layered Slopes With Associated Flow Rules, Electronic Journal of Geotechnical Engineering, 2006, 11, Bundle B. 1. Bimlesh Kumar and Pijush Samui - Sensitivity analysis of parameters on stability numbers, In the Proceedings of International Conference on Civil Engineering in the New Millennium: Opportunities and Challenges (CENeM-2007), January 11-14, 2007, Bengal Engineering and Science University, Shibpur, Howrah, West Bengal, India. 5. Achanta Ramakrishna Rao, Bimlesh Kumar and Gopu Sreenivasulu- Friction Factor for Pipe Flow: Basic Formulations, AICTE Sponsored Workshop on Design and Analysis of Water Distribution Networks for development program of Engineering College Staff, ACE, Hosur, Tamilnadu, India, September 17 - 21, 2007, available on CD-ROM. 6. Achanta Ramakrishna Rao, Gopu Sreenivasulu and Bimlesh Kumar- Estimation of Hazen Williams C and optimal diameter of the pipeline, AICTE Sponsored Workshop on Design and Analysis of Water Distribution Networks for development program of Engineering College Staff, ACE, Hosur, Tamilnadu, India, September 17 - 21, available on CD-ROM. 7. Bimlesh Kumar , Neelam Verma and Achanta Ramakrishna Rao - Methodology to Conserve Energy in Surface Aerators, Bhartiya Vigyan Sammelan Bhopal - November 23-25, 2007, available on CD-ROM. 8. Bimlesh Kumar and Achanta Ramakrishna Rao- Methodology for Conserving Energy in Circular Surface Aerators, IWA 8th Specialised Conference on Small Water and Wastewater Systems, KCT , India, February 06 - 08, 2008..
9. Achanta Ramakrishna Rao and Bimlesh Kumar - Surface Aeration Systems at Different scales of Mixing, The 23rd International Conference on Solid Waste Technology and Management, Philadelphia, PA, U.S.A. March 30 - April 2, 2008..
10. Achanta Ramakrishna Rao and Bimlesh Kumar - Optimal Geometric Parameters of Continuous Flow Surface Aeration System, The 23rd International Conference on Solid Waste Technology and Management, Philadelphia, PA, U.S.A. March 30 - April 2, 2008. 11. Bimlesh Kumar and Rahul B Hiremath - Will Decentralized Energy Planning Help in Climate Change Mitigation, International Conference in Climate Change (CCDC 2010), February 19-22, 2010, Kottayam, Kerala, India. 12. Bimlesh Kumar - Oxygen Transfer at Turbulent Microscale, International Congress of Environmental Research, 2010, September 16-18, 2010, UoM, Reduit, Mauritius. 13. Bimlesh Kumar- Sewerage System, MoUD Sponsored Workshop on Sustainable Development of Hilly Urban Area for Mitigating Water Related Hazards, Centre of Excellence for Integrated Landuse Planning and Water Resource Management, Department of Civil Engineering, IITG, Guwahati, October 26-28, 2010. 14. Bimlesh Kumar - Energy Efficiency: Batch and Continuous Flow Surface Aeration Systems, International Conference on Environmental Challenges: A Global Concern, 2010, October 15-16, 2010, Jalandhar, Punjab. 15. Bimlesh Kumar -Sustainable Bioenergy, National Conference on Renewable Energy for Development of Underdeveloped Areas with Particular reference to North East India, March 23-25, 2010, Department of Energy, Tezpur University Tezpur. 16. Achanta Ramakrishna Rao, Gopu Sreenivasulu and Bimlesh Kumar- Design of Alluvial Channel Regime with Seepage, National Conference on Hydraulics, Water Resources, Coastal and Environmental Engineering (HYDRO 2010), 53-58, December 16-18, 2010, Ambala. 19. Bimlesh Kumar and T. Thiyam Devi -Impeller Submergence Depth on Power Consumption of Mixing Tank, International Conference on Environmental Science and Development, ICESD 2011, January 7-9, 2011, Mumbai, 76-78. 20. T. Ganguly, A. K. Dubey, S. Dutta, S. A. Katha and Bimlesh Kumar - Hydrological Trend Analysis of the Ganga Flow at Farakka Barage, International conference on Sustainable Watrer Resources Management and Climate Change Adaptation, 17 - 19 Februray 2011, 194-203, National Institute of Technology, Durgapur, India..
21. T. Thiyam Devi, B. Malsur and Bimlesh Kumar-Optimal Impeller Submergence Depth for Stirred Tank, International Conference on Thermal Energy and Environment (INCOTEE, 2011), 620-623, March 24-26, 7-9, 2011, Kalasalingam University, Anand Nagar, Tamilnadu, India. 22. Bimlesh Kumar and V. Deshpande- Quantification of Hydraulic Parameters at stable Alluvial Channel, International Seminar on River, Society and Sustainable Development, 26 - 29 May 2011, Dibrugarh University, India..
23. Thiyam Tamphasana Devi and Bimlesh Kumar- Power Consumption by different types of impellers used in stirred tanks: A literature review and an introduction to CFD National Conference on WATER, ENERGY AND BIODIVERSITY-with Special reference to North-East Region, August 20-22, 2011, Agartala, Tripura, India. 24. Sumit Talukdar, Bimlesh Kumar and S. Dutta- Ann prediction of mean velocity in vegetative channel, International conference on Advances in Materials and Techniques for Infrastructure Development, 28 - 30 September 2011, NIT Calicut, India. 25. Bimlesh Kumar and V. Deshpande- Plane Bed Channel Resistance, International conference on Advances in Materials and Techniques for Infrastructure Development, 28 - 30 September 2011, NIT Calicut, India. 26. T. Thiyam Devi and Bimlesh Kumar- Investigations of mixing in mechanically stirred tank: Comparison of CD-6 impeller and Rushton turbine, National Conference on Recent Advances in Civil Engineering, October 14-16, IT-BHU, India. 27. Sumit Talukdar, Bimlesh Kumar and S. Dutta- Comparative Analysis of Bed Load Formulas for Intense Bedload Channels, National Conference on Recent Advances in Civil Engineering, October 14-16, IT-BHU, India. 28. T. Thiyam Devi and Bimlesh Kumar- Application of standard k-ε turbulence model for designing of stirred tanks, 4th International Congress of Environmental Research, December 15-17, 2011, Sardar Vallabhbhai National Institute of Technology (SVNIT), Surat, India. 29. Sumit Talukdar, Bimlesh Kumar and S. Dutta- Effect of Bedload on Channel Stability, National conference on Recent advancements in Civil Engineering and Infrastructure Development, December 21-22, 2011, Department of Civil Engineering, Jaypee University of Engineering &Technology, GUNA, India. 30. V. Deshpande and Bimlesh Kumar - Generalized downstream hydraulic geometry relations, National conference on Recent advancements in Civil Engineering and Infrastructure Development, December 21-22, 2011, Department of Civil Engineering, Jaypee University of Engineering &Technology, GUNA, India. 31. Dubey, A. K., Verma, R., Dutta, S., Gupta, P., Bimlesh Kumar-Morphological dynamics of Brahmaputra River using Satellite Altimetry Derived River Stage records. 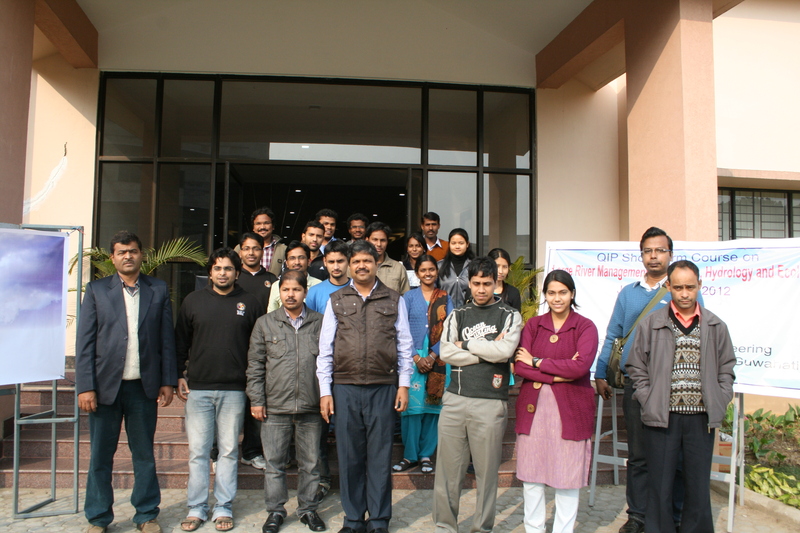 National Symposium on Empowering Rural India through space Technology, 9-11 November 2011, Bhopal India. 32. Dubey, A. K., Verma, R., Dutta, S., Gupta, P., Bimlesh Kumar-Use of Satellite Altimetry for the large braided Brahmaputra River. National Conference on Hydraulics and Water Resources (HYDRO 2011), December 29-30, 2011 SVNIT Surat India. 33. T. Thiyam Devi and Bimlesh Kumar- Turbulent Dissipation Rates in a Baffled Stirred Tank of Rusthon Turbine, 14th Asia Pacific Confederation of Chemical Engineering, February 21-24, 2012, Singapore. 34. S. Talukdar, Vishal Deshpande, Bimlesh Kumar-and S. Dutta- Explicit empirical prediction of Incipient motion for Alluvial River. Ensure 2012, IIT Guwahati, February 24-26, 2012, IITG Guwahati, India. 35. Mahesh Patel, Vishal Deshpande, S. Talukdar, Bimlesh Kumar and S. Dutta- Use of Large Tilting Flume to Characterize the Sediment Movement in River. Ensure 2012, IIT Guwahati, February 24-26, 2012, IITG Guwahati, India. 36. V. Deshpande and Bimlesh Kumar-- Downstream Hydraulic Geometry for a River in its Dynamic Equilibrium. Ensure 2012, IIT Guwahati, February 24-26, 2012, IITG Guwahati, India. 37. T. Thiyam Devi and Bimlesh Kumar- CFD simulation of flow patterns in Dual Impeller Stirred Tank, World Congress on Biotechnology-2012, May 4-6, 2012, Hyderabad, India. 38. T.Thiyam Devi and Bimlesh Kumar- Quantifying multiphase characteristics in Double impeller stirred tank, National Conference on Frontiers in Chemical Sciences (FICS) -2012, December 03-04, 2012, Indian Institute of Technology Guwahati, Guwahati. 39. Anjaneya and Bimlesh Kumar- Genetic Programming for Vegetated Channel, International Conference on Advanced Computer Theory and Engineering, December 27, 2012, Bangalore, India. 40. T Bebina Devi, Bimlesh Kumar and S. Dutta- Analysis of Flow Predictors in Rigid Vegetated Channel, National Conference on Sustainable Water Resources Planning, managment and Impact of Climate Change, April 5-6, 2013, Birla Institute of Technology and Science-Pilani, Hyderabad Campus, Hyderabad, India. 41. Vishal Deshpande, Harish Patel and Bimlesh Kumar- Evolution of Channel Shape with Seepage, Recent Advances in Civil Engineering (RACE) , NIT Patna, 13-14 June, 2013. 42. Vishal Deshpande, Satish Patel and Bimlesh Kumar- Effect of Seepage on Mannings Coefficient in Alluvial Channel, Recent Advances in Civil Engineering (RACE), NIT Patna, 13-14 June, 2013. 43. Mahesh Patel and Bimlesh Kumar- Resistance predictor with bed forms in alluvial channel, International Conference on Sustainable Innovative Techniques In Civil and Environmental Engineering (SITCEE- 2013), 5th-6th June 2013, Jawaharlal Nehru University, New Delhi. 44. Vishal Deshpande, Mahesh Patel and Bimlesh Kumar- Temporal variation of Critical Parameters in Threshold Channel, International Conference On Climate Change, Water Resources and Disasters in Mountainous Regions: Building Resilience to Changing Climate in November 27-29, 2013 SOHAM-Nepal, Babarmahal, Kathmandu. 45.Rutuja Chavan and Bimlesh Kumar Development of Incipient motion Criteria for Alluvial Channel, National Conference On Water and its Sustainability in mining and Other Environment: Vision 2050 on March 28-29, 2014, Department of Civil Engineering, Indian School of Mines, Dhanbad. 46.Neeraj Balot and Bimlesh Kumar- Resistance Relationship for Alluvial Channel, National Conference On Water and its Sustainability in mining and Other Environment: Vision 2050 on March 28-29, 2014, Department of Civil Engineering, Indian School of Mines, Dhanbad. 47.Thokchom Bebina Devi and Bimlesh Kumar- Near Bed hydrodynamics of Vegetative Channel with Seepage, National Conference On Water and its Sustainability in mining and Other Environment: Vision 2050 on March 28-29, 2014, Department of Civil Engineering, Indian School of Mines, Dhanbad. 48.Mahesh Patel, Sainath Panigrahi and Bimlesh Kumar- Dam break Analysis: A case study, National Conference On Water and its Sustainability in mining and Other Environment: Vision 2050 on March 28-29, 2014, Department of Civil Engineering, Indian School of Mines, Dhanbad. 49.Varsha Shivpure, Pankaj Kumar Meena and Bimlesh Kumar- Sensitivity Analysis of Parameters Governing Bed-material Load Transport, National Conference On Water and its Sustainability in mining and Other Environment: Vision 2050 on March 28-29, 2014, Department of Civil Engineering, Indian School of Mines, Dhanbad. 50.Jaideep S, Mahesh Patel and Bimlesh Kumar- Gaussian Process Regression to Predict Incipient motion of alluvial Channel, 4th International Conference On Soft Computing for Problem Solving on December 27-29, 2014, Department of Mathematics, NIT Silchar. 51.Mahesh Patel, P. Sainath and Bimlesh Kumar Flow over fluvial bedforms with suction, 5th International and 41st National Conference on Fluid Mechanics and Fluid power on December 12-16, 2014, Indian Institute of Technology Kanpur. 52. Rishabh Daga, Sumit Kumar Mahto, Rakesh Ranjan, Pankaj Meena and Bimlesh Kumar- Finding important predictors in the determination of friction factor in alluvial channel, 3rd Assam Water Conference 2015, 6th February, 2015 to 7th February, 2015 at Assam Water Research and Management Institute, Basistha, Guwahati- 781029. 53.Varsha Shivpure, Anurag Sharma, Pankaj Meena and Bimlesh Kumar Soft Computing Approach to Analyze the Parameters of Bed-Material Load Transport, 3rd Assam Water Conference 2015, 6th February, 2015 to 7th February, 2015 at Assam Water Research and Management Institute, Basistha, Guwahati- 781029. 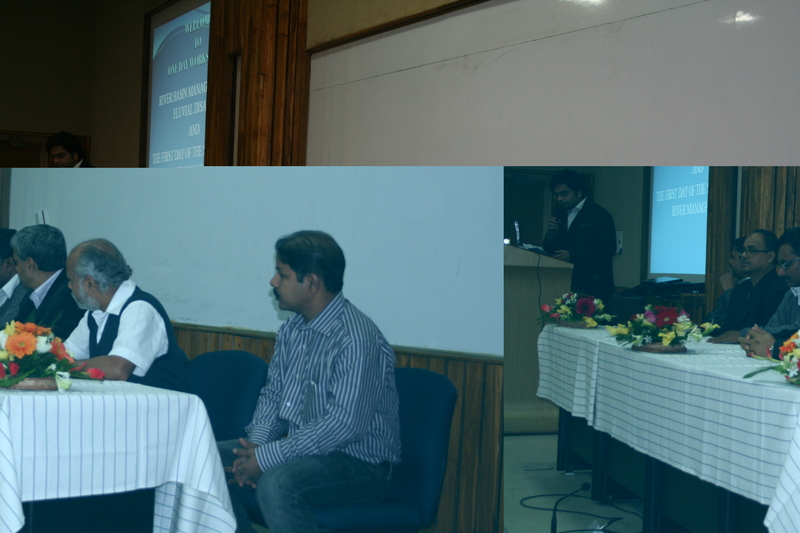 54.Mahesh Patel, Vishal Deshpande, Jaideep Shreawat, Sumit Kumar Mahto and Bimlesh Kumar- Dam Break Simulation: Case Study of Natural Flood Plain, 3rd Assam Water Conference 2015, 6th February, 2015 to 7th February, 2015 at Assam Water Research and Management Institute, Basistha, Guwahati- 781029. 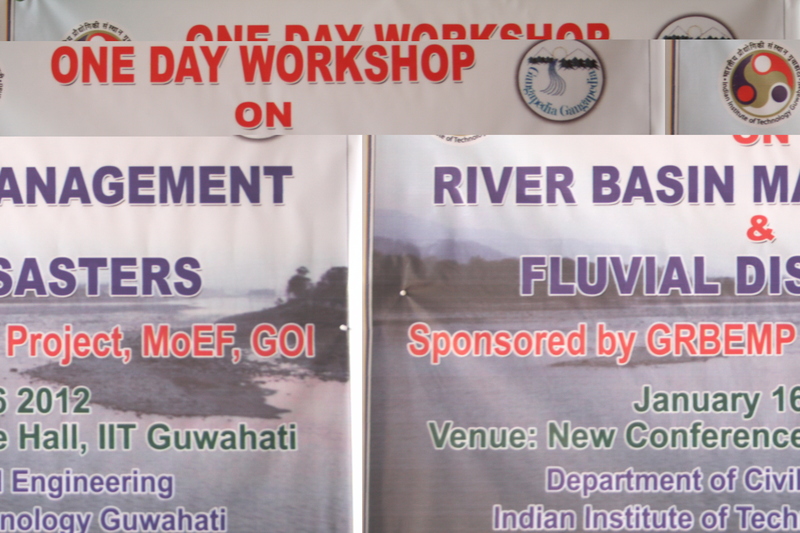 55.Sushmita Borah, Rimjhim Kashyap and Bimlesh Kumar- Comparison of Different Methods for Calculating Alternate depths in Open channel, 3rd Assam Water Conference 2015, 6th February, 2015 to 7th February, 2015 at Assam Water Research and Management Institute, Basistha, Guwahati- 781029. 57. Anurag Sharma, Mahesh Patel and Bimlesh Kumar- Turbulence in curvilinear bed streams, IAHR World Congress 2015, The Hague, 28 June to 3 July 2015. 58. Nupur Kalita, Neha Phukon, Mrisgakshee Sarmah and Bimlesh Kumar- Sensitivity Analysis of Parameters Governing Bed-material Load Transport, 20th International Conference on Hydraulics, Water Resources and River Engineering, Hydro-2015, IIT Roorkee, 17th to 19th December, 2015. 59. Anurag Sharma and Bimlesh Kumar Probability distribution function of turbulent parameters in curvilinear cross-section mobile bed channel, 20th International Conference on Hydraulics, Water Resources and River Engineering, Hydro-2015, IIT Roorkee, 17th to 19th December, 2015. 60. Bebina Thokchom Devi, Anurag Sharma, Sumit Kumar Mahto, Rishabh Daga and BBimlesh Kumar- Flow Characteristics in a vegetative channel with downward seepage, 20th International Conference on Hydraulics, Water Resources and River Engineering, Hydro-2015, IIT Roorkee, 17th to 19th December, 2015. 61. Rakesh Ranjan and Bimlesh Kumar- Minimax Probability Machine Regression to predict Incipient motion of alluvial Channel, IEEE workshop on Computational Intelligence: Theories, Applications and Future Directions (WCI), 14 to 17th December, 2015, IIT Kanpur. 62. Neha Phukon, Mrisgakshee Sarmah and Bimlesh Kumar- Process Modeling of Gas-liquid stired tank with Neural networks, International Conference on Water, Environment, Energy and Society, Bhopal, India, 15th to 18th March, 2016. 63. Aditya Deshpande, Abhishek Mishra and Bimlesh Kumar -Performance appraisal of Friction factor estimators, International Conference on Water, Environment, Energy and Society, Bhopal, India, 15th to 18th March, 2016. 64. Bandita Barman, Bimlesh Kumarand A. K. Sarma-Experimental Study on Mining Pit Migration, National Conference on Water Resources and Hydropower, 17th -18th June, 2016, University of Petroleum and Energy Studies, Dehradun. 65. Anurag Sharma, Dengkhw Brahma, Mahesh Patel and Bimlesh Kumar -Turbulent Scale Measurement in Mobile Bed channel, National Conference on Water Resources and Hydropower, 17th -18th June, 2016, University of Petroleum and Energy Studies, Dehradun. 66. Bebina Thokchom Devi, and Bimlesh Kumar -A Study on the Flow Characteristics in a Finite Vegetation Patch With Downward Seepage, National Conference on Water Resources and Hydropower, 17th -18th June, 2016, University of Petroleum and Energy Studies, Dehradun. 67. Bebina Thokchom Devi, and Bimlesh Kumar -A Study on the Flow Characteristics in a Partially covered natural vegetation with Downward Seepage, 20th Congress of the Asia Pacific Division of the International Association for Hydro Environment Engineering & Research, IAHR APD 2016, August - 28, 29, 30, 31 Colombo, Sri Lanka. 68.Mahesh Patel, Vishal Deshpande and Bimlesh Kumar- Effect of seepage on the friction factor in an alluvial channel, 4th IAHR Europe Congress, Liege Belgium, 27th -29th July 2016. 69. A. K. Meena, K.Verma, A. Verma, S. Tayal and Bimlesh Kumar-Input Significance Testing of Parameters Governing Bed Load Transport, 3rd National Conference on Water, Environment & Scociety (NCWES-2016), Hyderbad, India, 123-128, 6th -8th June 2016. 70. Mahesh Patel, Vishal Deshpande and Bimlesh Kumar -Resistance to flow in an alluvial channel subjected to seepage, 20th Congress of the Asia Pacific Division of the International Association for Hydro Environment Engineering & Research, IAHR APD 2016, August - 28, 29, 30, 31 Colombo, Sri Lanka. 71. Rutuja Chavan, Pratik Acharya and Bimlesh Kumar -Experimental investigation of turbulent flow structures and scour depth around bridge pier in an alluvial channel with downward seepage, IBMS 2016 Conference on 4th & 5th October 2016 at NDMC Convention center, New Delhi..
72. Anurag Sharma and Bimlesh Kumar -Multiple methods for comparison of bed shear stress in plane and curvilinear cross section mobile bed channel, Proceedings of International Conference on Hydraulics, Water Resources and Coastal Engineering (Hydro2016), CWPRS Pune, India, 8th � 10th December 2016, pp 72-78. 73. Rutuja Chavan, B. Venkataramana and Bimlesh Kumar -Investigation of turbulent flow statistics and bed morphology around circular bridge pier, Proceedings of International Conference on Hydraulics, Water Resources and Coastal Engineering (Hydro2016), CWPRS Pune, India, 8th � 10th December 2016, pp 115-119. 74. Mrigakshi Sharmah and Bimlesh Kumar -Economic and operational aspects of different protection devices for mitigating transient condition in water distribution network, Proceedings of International Conference on Hydraulics, Water Resources and Coastal Engineering (Hydro2016), CWPRS Pune, India, 8th � 10th December 2016, pp 129-145. 75. Rutuja Chavan, Nairita Mukhopadhyay , Anurag Singh and Bimlesh Kumar - Comparison of existing equation for scour at bridge piers using laboratory and field data, Proceedings of International Conference on Hydraulics, Water Resources and Coastal Engineering (Hydro2016), CWPRS Pune, India, 8th � 10th December 2016, pp 642-648. 77. Anurag Sharma and Bimlesh Kumar - Higher order statistics of Reynolds shear stress in nonuniform sand bed channel, International school of hydraulics, Jachranka, Poland, 23-26 may, 2017. 78. Anurag Sharma, V. Prasad and Bimlesh Kumar - Estimation of turbulence properties of acoustic doppler velocimeter data contaminated with spikes, 4th National Conference on Water, Environment and Society (NCWES � 2017), At JNTU Hyderabad, 16-18 March, 2017. 79. Anurag Sharma and Bimlesh Kumar- Turbulent Characteristics of Flow over Non-Uniform Sand Bed Channel, 37th IAHR World Congress, August 13th-18th, 2017, Kuala-Lumpur, Malaysia. 80. Anurag Sharma and Bimlesh Kumar- Effect of Seepage on Probability Distribution Function of Turbulent Flow, 44th National Conference on Fluid Mechanics and Fluid Power (FMFP � 2017), Amrita University, Amritapuri Campus, Kollam, Kerala from December 14-16, 2017. 81. Bandita Barman, Bimlesh Kumarand A. K. Sarma- Statistical Analysis of Bed Feature of an Alluvial Channel at Upstream and Downstream of Mining Pit, 44th National Conference on Fluid Mechanics and Fluid Power (FMFP � 2017), Amrita University, Amritapuri Campus, Kollam, Kerala from December 14-16, 2017. Dr. Mahesh Patel- Flow and Bed-features Dynamics in Seepage affected Alluvial Channels [July 2012-21st August, 2017] Assistant Professor, Civil Engineering, National Institute of Technology Jalandhar, Jalandhar. B. Malsur - Optimal impeller submergence depth for surface aeration systems . Mahesh Patel- Flood Characteristics at Downstream: Case studies of Dam Break Analysis . Harish Patel - Stability of Lane's Shape with Seepage . Satish Patel-Resistance Relationship with Seepage in Alluvial Channel . Rutuja Chavan- Transient analysis of Slurry Flow . Varhsa Shivpure- Analysing turbulence characteristics of flow of submerged flexible vegetated channel . Anurag Sarma-Turbulent Characteristics in Curvilinear Cross-section mobile bed channel . S. Majumder- Spectral Analysis of Bedforms . S. Moundal- Intelligent Modeling of Sediment Transport Problems . D. Brahma- Flow over Fixed Bedforms . B. Venkataramana -Flow analysis and Scour around piers in Tandem arrangement . Pratik Acharya- Turbulent flow statistics and Bed morphology around circular Bridge pier . B. Anil-Statistical Analysis of Bed feature of an Alluvial Channel at Upstream and Downstream of A Mining Pit . Ajay Kumar Jorwal - Comparative analysis of different empirical shields criterion. .
Manoj- Transient Analysis of Gravity Main Systems. Anjaneya - Improved Regression Relationship for Sediment Transport Problems . Arvind Kumar- Neural Modeling of Surface Aeration Systems . Neeraj Balot-Resistance Relationship for Alluvial Channel . Arpit Maheshwari- Soft computing in Sediment Transport problems . P. Sainath - Bedform analysis and Resistance Relationship . Jaideep- Gaussian Process regression to predict incipient motion in alluvial channel . Pankanj Kumar Meena-Finding important predictors in the determination of friction factor in alluvial channel . Sumit Kumar Mahto-Turbulent Characteristics on Submerged Flow over mixed vegetation patches . Rishabh Daga-Experimental Study of the flow characteristics in a Vegetated channel with mixed Vegetation densities . Rakesh Ranjan- Minimax Probability Machine Regression to Predict Incipient Motion in Alluvial Channel . K Ravi Tej Verma- Prediction of Scour Depth using Genetic Programming . Keshav Verma- Performance appraisal of Velocity predictors in Channel Flow . Arun Verma- Comparison of Bed shear stress in Plane and Curvilinear Bed Channel using multiple Criteria . Ashok Kumar Meena- Study of Flow Field and Bed Morphology around Tandem Piers . Shubham Tayal- Experimental Investigation of Turbulent Flow Characteristics and Scour around Bridge Pier . Vivek Kumar Singh- Soft computing of bed load variables . Anurag Sungh - Analysis of flow characteristics and scour morphology around piers in Tandem arrangement . Bitu Kumar- A preliminary investigation of River sediment mining: Hydraulic Properties . Mr. Naman Konswal, Grenoble university France. Department of Civil Engineering, Solapur University. Transient analysis of Bisalpur-Tonk- Uniara-Deoli Water supply project (package-IT) designed to cater the demand of 436 villages and their other habitations of Tonk District in state of Rajasthan under PHED-Rajasthan. Transient analysis of Bisalpur-Dudu-Phulera Water supply project designed to cater thedemand of 173 villages of Phulera Tehsil and their NRV's & dhanies and two towns Jobner and Kishangarh Renwal of District Jaipur in state of Rajasthan under PHED-Rajasthan. Transient Analysis of Make-up Water System of NTPC Darlipali Super Thermal Power Project. Transient Analysis of RWSS of 199 Villages of Niwai and Tonk Tehsil under Bisalpur Niwai Tonk Water Supply Project.